Earlier this week, the CTIA’s (Cellular Telephone Industries Association) unlocking standards went into affect and all U.S carriers are supposed to accept the changes outlined by these standards. This basically means that now you can unlock your iPhone without worrying about any legal issues. The carrier you’re in contract with will have to unlock your iPhone, if you ask for it. In 2013, U.S President Obama signed a petition to make unlocking iPhones and other smartphones legal in the United States. AT&T, Sprint, T-Mobile, U.S. Cellular and Verizon have all agreed to follow the new rules and will unlock your iPhones for no extra charge after a contract is over. You can also unlock an iPhone and switch carriers while mid-contract, but you may have to pay a certain fee charged by the carrier. Disclosure. Each carrier will post on its website its clear, concise, and readily accessible policy on postpaid and prepaid mobile wireless device unlocking. Postpaid Unlocking Policy. 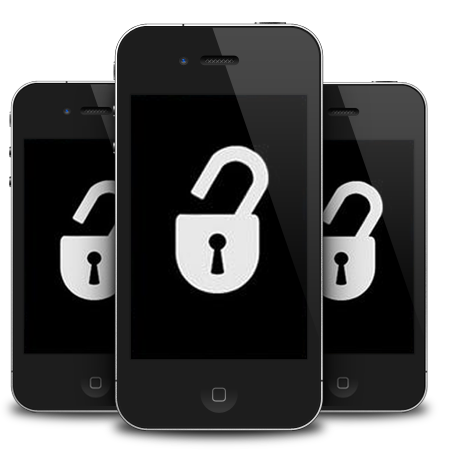 Carriers, upon request, will unlock mobile wireless devices or provide the necessary information to unlock their devices for their customers and former customers in good standing and individual owners of eligible devices after the fulfillment of the applicable postpaid service contract, device financing plan or payment of an applicable early termination fee. Prepaid Unlocking Policy. Carriers, upon request, will unlock prepaid mobile wireless devices no later than one year after initial activation, consistent with reasonable time, payment or usage requirements. Notice. Carriers that lock devices will clearly notify customers that their devices are eligible for unlocking at the time when their devices are eligible for unlocking or automatically unlock devices remotely when devices are eligible for unlocking, without additional fee. Carriers reserve the right to charge non-customers/non-former-customers a reasonable fee for unlocking requests. Notice to prepaid customers may occur at point of sale, at the time of eligibility, or through a clear and concise statement of the policy on the carrier’s website. Response Time. Within two business days after receiving a request, carriers will unlock eligible mobile wireless devices or initiate a request to the OEM to unlock the eligible device, or provide an explanation of why the device does not qualify for unlocking, or why the carrier reasonably needs additional time to process the request. Deployed Personnel Unlocking Policy. Carriers will unlock mobile wireless devices for deployed military personnel who are customers in good standing upon provision of deployment papers. As of February 11th, the new law went into motion and now allows for safe and legal unlocking of iPhones and other smartphones in the United States. Want to unlock your iPhone and switch carriers? Contact your carrier and talk to them about unlocking your iPhone. Will they still unlock it for you if its blacklisted on one of these networks ?